You may have noticed an upswing in Bitcoin talk recently, especially if your usual online haunts are even tangentially linked to the world of cryptocurrency – this is because the little coins have boosted the entire cryptocurrency market to a record high valuation. This is all exciting and whatnot, don’t get me wrong, but the constant talk of Bitcoin in such stock-markety terms sometimes detracts from the more conventional part of it… i.e. what can you actually buy with the sodding things? Quite a lot of stuff, it turns out. Let’s take a look. Anyone with even a passing knowledge of Bitcoin’s history will be all too aware of the coins’ ability to pay for some delicious pizza. Back in the day, the first ever transaction carried out with the nascent cryptocurrency was a purchase of two pizzas for 10,000 coins. These days, 10,000 coins would be worth somewhere around $100 million, by the way. 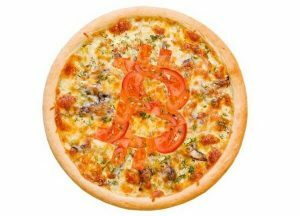 Why not comfort-eat your way through that investment sorrow by using PizzaForCoins.com to order up a slice from some of the biggest names in pizza? And not crackpot mad-scientist airlines either, but normal ones, with normal planes. Back in 2014, Air Baltic became the first airline to publicly accept Bitcoin as bona-fide payment for airline tickets, directly. Since that time, some smaller conduit companies have sprouted up, such as CheapAir, BTCTrip, and ABitSky to act as flight aggregators that accept cryptocurrencies as payment. Remember when your mom told you all that time in front of the computer screen wouldn’t get you anywhere? Ha. Running on from transport, folk with digital money to burn can also book a room in their chosen destination. 2014 seemed to be the year that the travel industry opened its arms to cryptocurrency, as Expedia, the world’s most prominent travel booking agency, teamed up with Coinbase to allow for Bitcoin payments. At the moment, customers won’t have a streamlined experience between travel and accommodation as Expedia only accepts crypto-payments for hotel bookings, and not flights, but the only way is up, right? 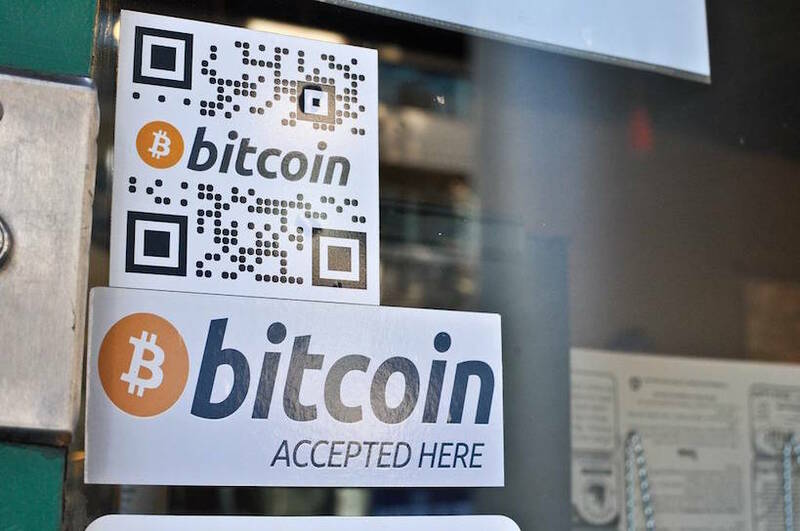 Bitcoin, and cryptocurrency in general, has undergone a bit of a public makeover in the last few years, helped in no small-part by big name companies like those above opening their business to coin-holders, but back in its infancy it was synonymous with the Silk Road digital black market and other shady online bazaars. 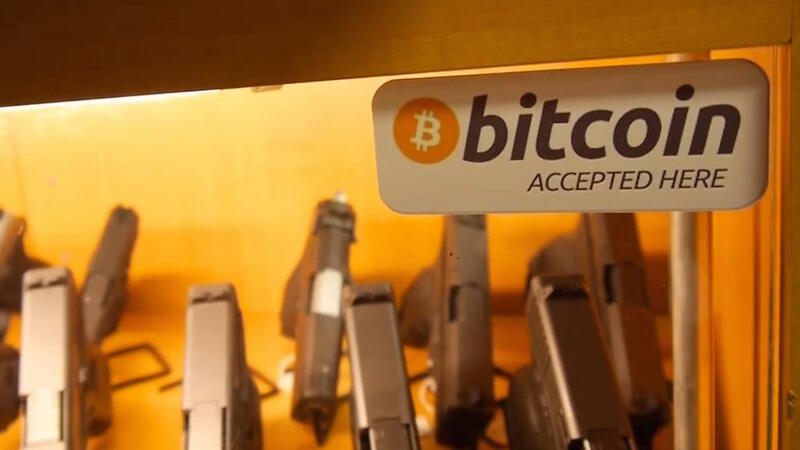 Users would usually use Bitcoin to purchase illegal or suspect goods like weapons (although, it has to be said, not guns), drugs or certain services. These days, though, in a strange but obvious twist of supply/demand fate, Bitcoin holders can buy perfectly legal firearms through companies such as Central Texas Gun Works. As public perception of Bitcoin continues to swell and cryptocurrency markets see their value increase, it only makes sense that businesses adapt to this new world of money. In fact, as far back as 2013 (remember that Bitcoin only really burst onto the scene in 2009) around 10% of bars and restaurants in Berlin were accepting Bitcoin payments – quite an amusing thought, really, given the city’s cold war history. But, if you don’t have the disposable coins to book a flight, hotel and Berlin bender all at once, you can always try another Bitcoin aggregate site, such as Bitcoinrestaurants.net, to see if there are any places nearby. You might be better off with the pizza, though. Good old America, the country of the drive-thru weddings and funerals, where else would you find a funeral parlor eagerly seizing the modern trend of cryptocurrency? Well, why not? Those Bitcoin keys aren’t doing any good if they’re locked away for all eternity. If you find yourself in need of some funeral services and you’ve got the Bitcoins to spare, then Crescent Tide Cremation Services in Minnesota will be happy to meet your needs. R.I.P. conventional currency. Gone, but not forgotten. Taken too soon. 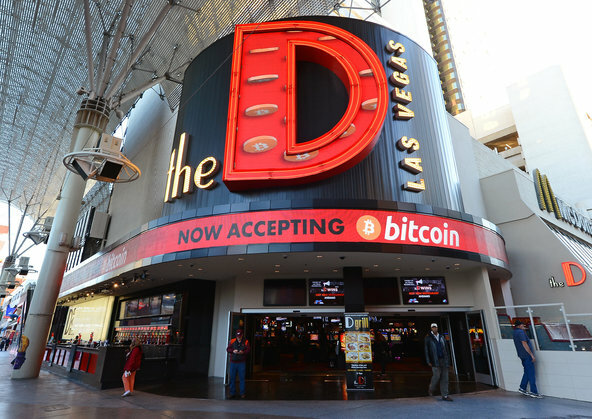 2014, again that paramount year in Bitcoin maturity, witnessed two Sin City establishments (D Las Vegas and the Golden Gate Hotel & Casino) accept Bitcoins at their front desks, on-site gift shops and restaurants. Alright, I sort of lied. You can’t actually gamble with cryptocurrency, but you can at least drown your miseries after another huge loss. That’s something right? Ah, Bitcoin. It’s so money and it doesn’t even know it. No, that’s not a euphemism. I mean a literal, actual gold mine. You’ve heard the uncertain stories about cryptocurrency, you’ve had your doubts about its value in relationship to gold – how can its value be controlled!?!?! – well, now you can put your worries aside and embrace the old with the new, by buying up a goldmine in Dawson City, Yukon, Canada. Oh, the only catch? It’s gonna set you back about $2 million worth of Bitcoins. And also, you’ll need a time machine as this was for sale back in 2014. Still, though, the precedent has been set. Keep your eye out for any more profitable, literal, goldmines turning up on eBay I guess. I’m trying to think of a joke about ‘bringing home the bread’. The ingredients are there, I just knead a punchline. 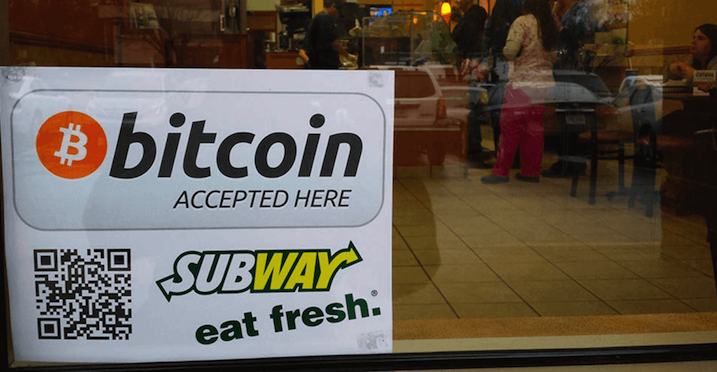 In the meantime, why don’t you head over to Subway, specifically one located in Buenos Aires, where you can get yourself a nice foot-long with your Bitcoins. This actually isn’t as surprising as it seems at first glance. There have been numerous stories going round for years about Bitcoin millionaires buying Lamborghinis with their digital wallet and even investing in Elon Musk’s Tesla model vehicle – but it seems that an increasing number of dealerships, particularly in the U.S., are accepting Bitcoins as payment for their wheels. You always could buy a car in less reputable ways but the fact that these common-place sales are becoming ever more prevalent is an optimistic sign for those invested in cryptocurrencies. From pizza to cars, what else even is there? Getting a little sick of the same scenery? Want to kick out and find yourself a new apartment? Well, where better than Dubai? Because of course you can buy a luxury apartment with Bitcoin in Dubai. Why would you ever think otherwise? The Aston Plaza and Residences company will happily hand over the keys to your choice of studio apartments or one/two bedroom flats for the low, low price of 27.55BTC. It’s a bargain! That’s only around $130,000 at the current Bitcoin valuations. You’ll have enough left over for a fold-out sofa at that price-tag. Even the academic world is embracing the cryptocurrency shift. Education funding is a perennial issue in just about every government on the globe, so why wouldn’t colleges open their coffers to any and all money that’s available to them? Perhaps the most surprising aspect of paying off your college fees through Bitcoin is how many institutions have opened their doors to the concept: Lucerne University of Applied Sciences and Arts (Switzerland), the University of Cumbria (UK), the University of Nicosia (Cyprus) and even the King’s School College in New York City are all happy to strip your coins from you for that sweet, sweet further education anxiety. Granted, there might be some traveling involved but that gives you time to catch up on all that course work. Lucky you! How about some ancient mammoth tusks? You can never have too many of those. In fact, that reminds me to update my groceries list. An article put together by Coindesk took a look at some of the weirdest singular objects they could find for sale with Bitcoin (you’ll notice our favorite goldmine listed in there, too) – and, as far as I’m concerned, it doesn’t get any weirder than an adult Canadian mammoth tusk. Okay, okay, I’m bending the rules. 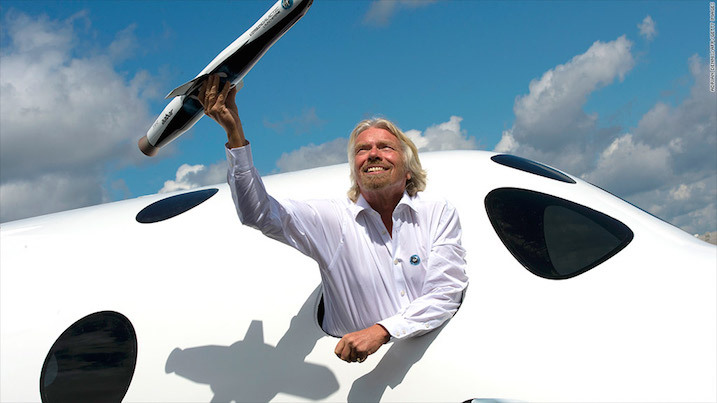 You probably can’t buy this, and it’s not going to be available for a long time but Virgin Galactic have long been proponents of Bitcoin, announcing back in 2013 that they will accept Bitcoin payments for private space flights. Better check the back of your digital sofa and start saving, then. No, not the video games (although you can purchase games and other media with Bitcoin, via the Windows and Xbox stores (but that’s not particularly surprising))… I’m talking actual hitmen. Well, back in the day anyway. Remember that murky underworld of deep web marketplaces we talked about earlier? Well, one of the ‘services’ that would often crop up for sale, mired in euphemistic language to avoid detection, was that of contract killers. Absolutely terrifying, but, luckily much less prevalent since deep web markets (and cryptocurrency activity associated with them) have been put under much closer scrutiny by the authorities. I just wanted to leave you with a reminder of how far the currency has come in its legitimacy. All the same…Be careful who you annoy.